Maybe you’re a bit like me in that you’re pretty independent when it comes to doing your job. After all, you and I have spent years becoming proficient, knowledgeable and responsible in order to be able to do what we do. There’s a certain satisfaction, a sense of pride, when you can do things without relying on others. As children, we were taught to be self-reliant – strong and capable. And it’s still going strong. Google “children and self–reliance” and you’ll see there are reams of information on how to create an independent child. Then there are the quotes we often hear that re-enforce the necessity of being self-reliant. You usually hear this when someone is complaining about a task they entrusted to someone else that didn’t go so well. “Survival of the fittest” – This is a phrase that originated from Darwinian evolutionary theory, inviting us to make ourselves the brightest and the best in order to succeed. But there’s a downside to all this. Sometimes we can be too independent, so much so that it costs us. Oh, but wait…there are challenges! Being self-reliant has long been a desirable goal. As a matter of fact, it is a complex subject that crosses many aspects of life, politics, business and society. To be honest – not being a scholar - I had no idea it had such roots in history. Back in 1841, the American philosopher Ralph Waldo Emerson wrote one of his most famous essays, called ”Self- Reliance”. This philosophy generated much controversy and interest at the time. He promoted that individuals follow their own instincts and ideas and not conform to the thoughts of others. It is interesting that this was controversial. 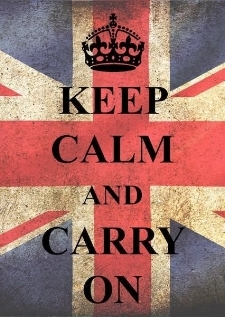 During the Second World War, the British Government wanted to send a message to its citizens about how they could cope during that difficult time. Being self-reliant was the key, with the slogans “Your Courage, Your Cheerfulness, Your Resolution Will Bring Us Victory" and, one you may be more familiar with, "Keep Calm and Carry On." Probably not a bad thing in a war effort. However, in the workplace being self-reliant is not always an option. We all know it makes sense to involve others. it’s even a required part of our job to involve others. But the self-reliant have issues to get past. On top of all that, it requires a certain amount of humility to realize that, as good as you are at something, you need other people in your life to be successful. I was right up there with the best of them! I used to think I could do a lot by myself. And truth be told, I could. I used to head up a percussion program at the Royal Conservatory of Music, a large private music school in Canada. In my heyday there, I was conducting 3 children’s percussion ensembles of varying levels, 1 adult percussion ensemble and an adult hand drumming class every week – not to mention keeping a full teaching load of private students. Twice a year I would organize a public concert to take place in the RCM’s big concert hall. Each group would have its own spot in the often-2-hour concert. These concerts were always a major production with equipment that filled the stage from end to end. It was my baby. 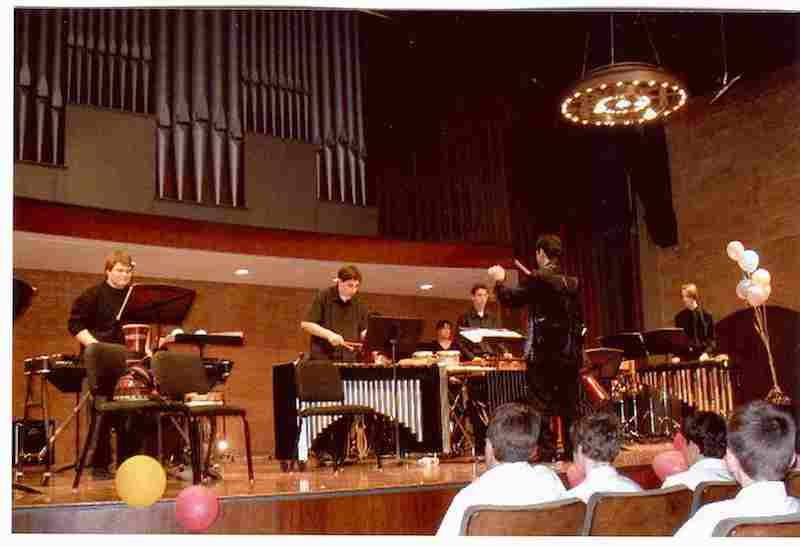 I had started the percussion program from scratch about 10 years earlier with 6 students, and it had grown nicely. These were all my students and I did everything – lessons, classes, programming and conducting. I didn’t have an assistant and it wasn’t really anyone else’s job to make these concerts happen. So I took it upon myself to organize them and run them. This wasn’t a big deal in the beginning when I only had 1 group - (after all, I was “self-reliant”) - but as time went by, things grew - and grew a lot. Even though we had a person in-house to produce the programs (if I handed over the information), I would do them myself. It allowed me to make last-minute changes and have better control. And I liked how mine looked better. 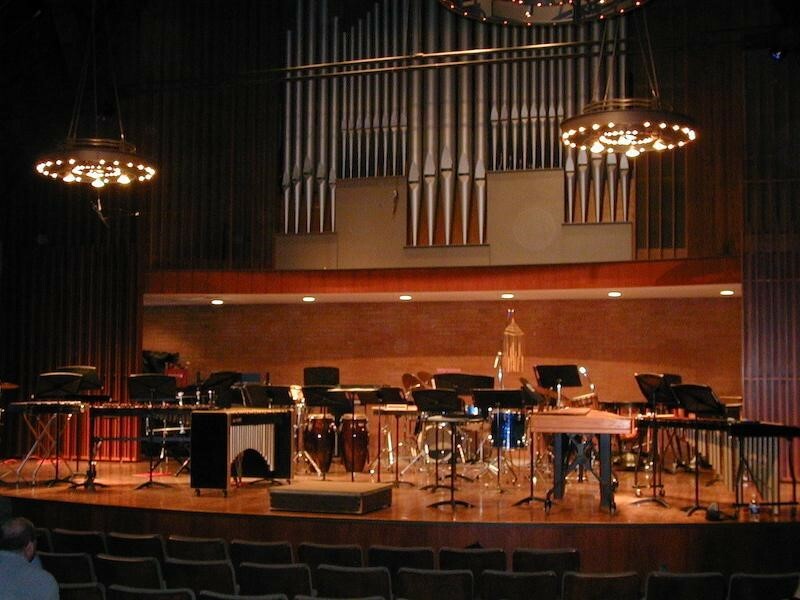 But this is the worst…Most times, I would move (a.k.a.- do the heavy lifting) and set up a whole stage’s worth of percussion instruments from the basement percussion studio to the main floor concert hall. It easily took me about half the day. My reasoning was that I just wanted it set up perfectly so my groups could rehearse a bit before the show. The players would show up a couple of hours before the concert, we’d rehearse a bit, and then wait for show time. I have many fond memories of these concerts. They were always a huge success. When it was all over, there was lots of cleaning up to do. Some people realized the magnitude of this and helped out, while many other people would say their thanks and go home. Sometime during this 10th year, I realized the error of my ways: I was supposed to be the teacher – the coach – the conductor. If I moved everything, and I set up everything, I wasn’t teaching an important lesson. I wasn’t showing them all the bits and pieces that go into a professional percussionist’s life. I know there are some performers at the highest levels who never have to lift a finger but the majority of musicians have to be ready for some unglamorous hard work. I also wasn’t demonstrating what it was like to rely on others to achieve something, which is something I really believe in. And doing some hard work together to achieve a goal is a good thing for everyone involved. The solution to being too self-reliant lies in realizing how much more you can accomplish by working together with others. For many people (like my younger self), this can be very difficult. You have to really look at why you are not involving other people and the impact it is having on the final outcome. Here are some of my reasons. Do any of them resonate with you? 1) As much as this smarts to admit, there was some ego involved. I liked that I controlled so many aspects of the production. I liked that I could say, “I did this!” I liked that I could say, “It was all because of me.” Of course it really wasn’t, because I couldn’t have done it with out the players’ playing contributions. 2) I am a bit of an introvert (believe it or not) and I don’t like bothering people. (a)I didn’t want to go to the custodians, who were already busy doing their other jobs around the building, for help. (Although when I asked them, they never seemed to mind, provided I gave them a few days’ warning). (b) I didn’t want to bother or impose on paying students (some of whom were amateur adult players with other daytime professions). 1)I wasn’t letting the players share in the toil to make the experience that much more special. 2) I wasn’t letting them learn all the aspects of the job of being a performing percussionist, which was actually why they signed up to study with me. 3) I was encouraging them to take advantage of people doing stuff for them. Yes, there are certainly people who are quite happy to let you do all the work. But you’d be surprised how many others are quite happy to help out and are just waiting to be asked. 5) I was compromising my own performance. Many nights after these concerts, I would be completely physically exhausted, so much so that my body just hurt. I’d need the next day to recover. Interestingly, I even began to equate that feeling of exhaustion with having had a successful concert. While nothing usually went awry, I can’t help but think how much better things could have gone had I delegated a bit. 6) I missed out on forging deeper relationships. Had l involved a few parents and given them opportunities to pitch in, who knows where that would have led. I can tell you that if you are a self-reliant person, it’s hard to stop being that way. I have found it tough to become a delegator. I still wrestle with it despite knowing better. Nowadays there are times when I roll into rooms to deliver my collaboration programs with enough equipment for several hundred people, people just like you. These days I would not dream of setting all that up myself (although I know I could - damn it – I could!). I now hire wonderful people who understand how important it is for everything to be in its place and how important it is that I don’t have to worry about it. And I have come to really like that. 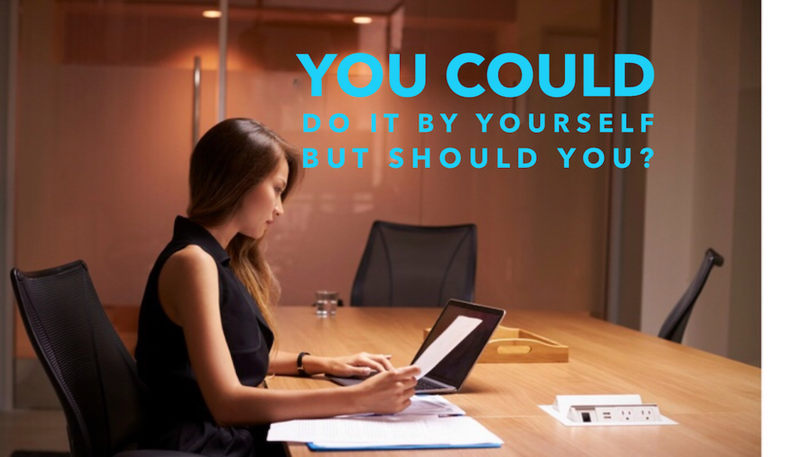 So could it be possible that even though you work on a team with some other very talented and able folks, you’re trying to do it all yourself? 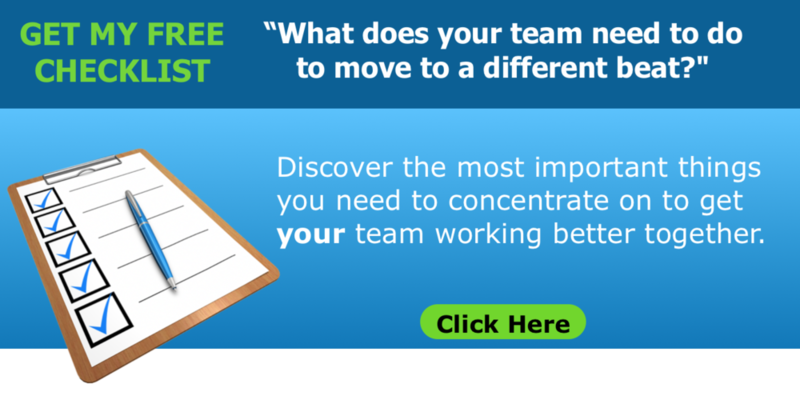 Could it be that if you thought about it, you could get some people to help you? Do you have some people around you who would love to be involved? I bet you do. Just have a look around. It’s now time to send this off to my amazing indispensable editor and then to the wonderfully capable person who puts my words up online. Me, I’m off to hang out with my kids. As always I welcome your comments (and, perhaps in this case, your confessions) about being a little too self-reliant and what you did about it.